We’re the second stop on Rockstar Book Tours’ Harrison Squared and I’m really pretty thrilled to share this one with you guys. There is a giveaway widget further on and you need to enter. And here’s the reason I say that. There are very few authors whose style alone can win me over and Daryl Gregory proved that he was one of those rare few within mere pages. This is a man who has a way with words and I instantly fell in love with his descriptions of people, places, things, and events. If I had known how much I liked his work I would have tracked down something else by him (probably Raising Stony Mayhall, to be honest) years ago. Now, you don’t necessarily need to be that familiar with Lovecraftian lore to appreciate Harrison Squared. It certainly helps but Gregory’s Dunnsmouth and the story he shares will more than help you understand just what it means. Take for instance, the school Harrison attends. Creepy and unnatural, the courses don’t make sense and the students are eerily obedient. Instead of home economics, they make nets. Biology is supplemented by cryptozoology and made science. And the principal leads the student body in strange religious rituals every morning. Yeah, talk about creepy. Everything in Dunnsmouth is creepy and no one seems capable of being straightforward about anything. It sets about an amazingly uncomfortable atmosphere that I really just loved. I also loved Harrison. Actually, that’s not fair. I loved all of the characters. Lydia, Harrison’s aunt Selena, the creepy teachers, and every other secondary and tertiary character was just so great. But the book is told from Harrison’s point of view and so most of my love goes to him. Despite suffering an early tragedy as a child he’s grown into quite a capable young man and his narration feels very real. This is how I suspect a boy his age who has gone through such adversity would react to the insane things going on in Dunnsmouth and I just absolutely love that. I also really appreciated that Harrison is a disabled protagonist. As someone with a disability, it’s rare that I can really feel like I relate to a character as much as I do Harrison.And I loved how central his amputated leg was to the story. Though our disabilities are very different and Harrison’s life is clearly far more complicated due to this whole supernatural thing, there were just so many things that resonated with me. There’s a point where he’s asked to swim in gym and for him it’s always just been something he’s skipped without need for explanation. That scene alone brought back so many memories. Seriously, this was just the perfect book for me. The plot, the characters, the writing, and the general atmosphere all came together perfectly. I feel like I’ve been waiting so long for a book as unique and riveting as this one and now that I’ve finally found it couldn’t be happier. 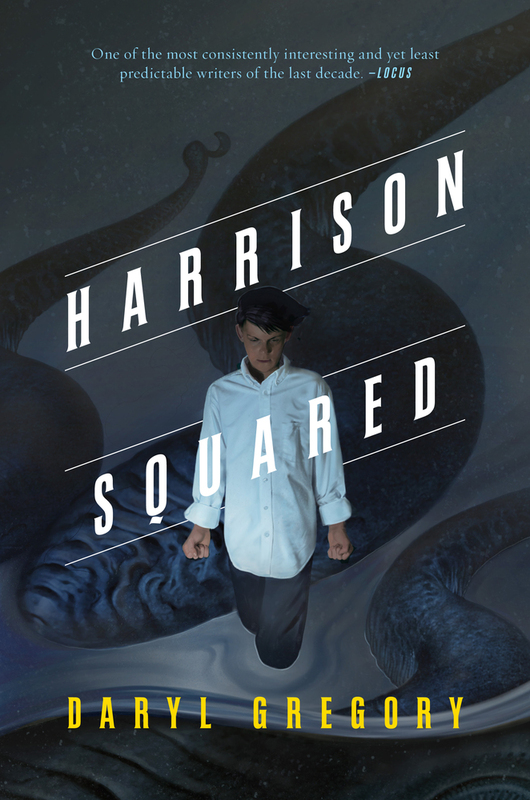 Fantastically written and ultimately extremely satisfying in a way that so many of my young adult-geared reads as of late have not been, Harrison Squared may be my first must read book of the year. Granted, it’s certainly geared towards folks who would appreciate the genre. But if you’re a fan of Lovecraftian horror and love modern takes on the classic elements, you’ll definitely love this book. So, now that you’ve heard what I had, it’s time to check out the book for yourself. Rockstar Book Tours is giving away fifteen copies of Harrison Squared and one of them could be yours. All you need to do is enter! 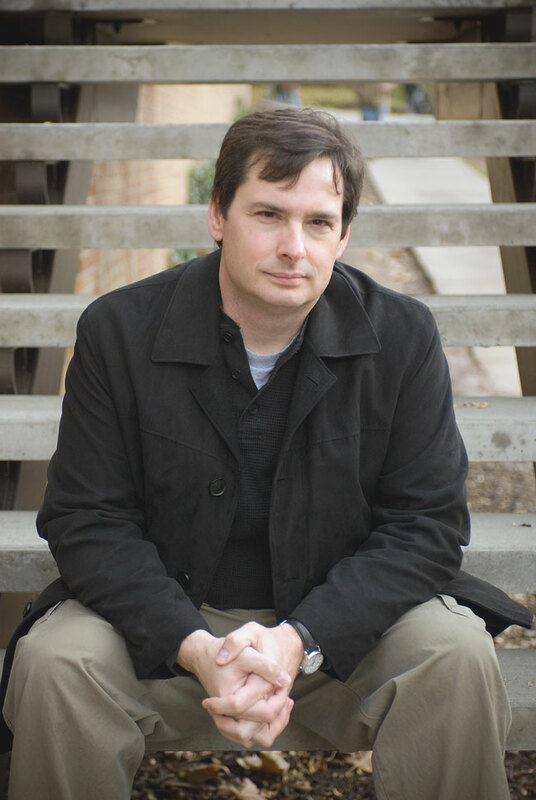 Connect with him on Twitter, Facebook, Goodreads, his blog, or his website. Or check see where he’ll be next on Rockstar’s Harrison Squared book tour by checking out the full tour schedule. Daryl Gregory will be doing interviews and guest post along the way and you don’t want to miss them! I’m certainly not familiar with Lovecraftian lore, but this book hooked me and I agree with every single point you made in this review! I’m a stop on this tour too and can’t wait to publish my thoughts!